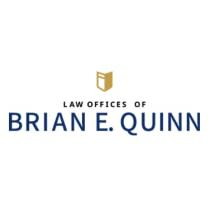 The Law Offices of Brian E. Quinn have been serving the Philadelphia area and surrounding counties since 1985. Our practice areas include: Personal Injury, Worker's Compensation, Estate Planning, Family Law, Divorce, Criminal Defense and representation of Nurse's, Doctor's and all other individual's who hold Professional Licenses and are subject to the rules and regulations of the Bureau of Professional and Occupational Affairs. Our attorney's have over fifty years of combined experience. They are respected by the judges, prosecutors and court officials of Philadelphia County.